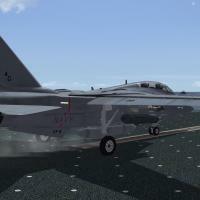 This is a rework of all F-14A_82 skins withing the TMF F-14 v1.3. 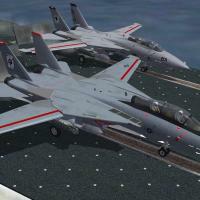 I did not included BuNO in this skin pack, except i put the correct one on the VF-124 1976 scheme. The modex series are real one's for each squadron. 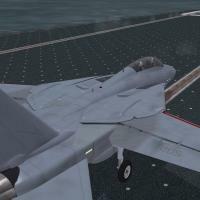 Some minor details might be different then real life F-14 as there was some minor changes from one block to another but i did not dig this (refering to the gun gas vent). 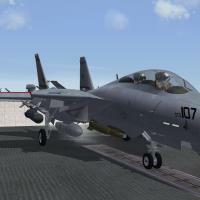 Copy the F-14A_82 aircraft folder content to your game F-14A_82 aircraft folder. 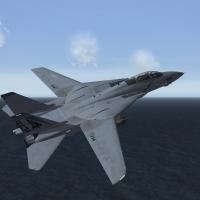 Copy the F-14A_82 decals folder content to your game F-14A decals folder. Open the Textureset.ini and edit the file by adding the texture.ini lines. 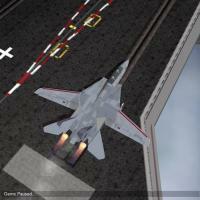 Thanks to Thirdwire for creating the Strike Fighters series. 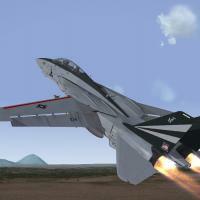 Thanks to the Mirage Factory for providing the wonderful F-14 Superpak and the templates used to create this skin. Thanks to Column5, EricJ and USAFMTL for some of the original skins. 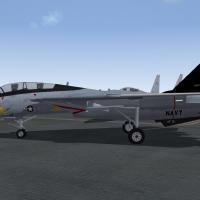 Thanks to Swordsman422 who did great F-14 skins and my templates are based on his. Thanks to the one's who gave me some inputs while doing these skins. 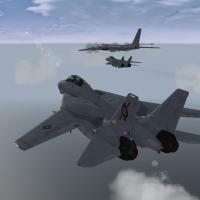 Intended to bridge the gap between their 1999-2002 http://combatace.com/files/file/14717-vf-213-f-14d-1999-2002/ and the Last Tomcat Cruise http://combatace.com/files/file/16459-vf-213-black-lions-last-roar/ to cover VF-213's entire career in the D-model Tomcat. 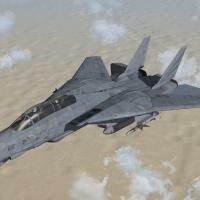 RCAF F-14A (TMF F-14A_82) "What If..."
First, i'm doing skins for my own pleasure, but thank you for downloading this F-14 skins pack for the Mirage Factory F-14A_82. 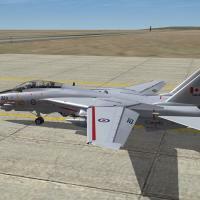 These skins represent the F-14 squadrons that might have equipped the Canadian Armed Forces if the Canadian Government have accepted to buy the one's supposed to be delivered to Iran. (which event is true). 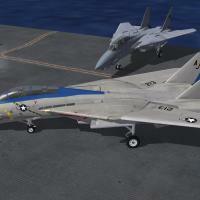 Thanks to the Mirage Factory for providing this wonderful F-14 Superpak and the templates used to create this skin. 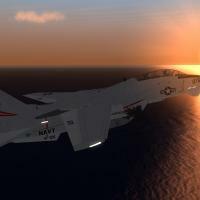 Thanks to Swordsman422 who did great F-14 skins and my template is based on his. 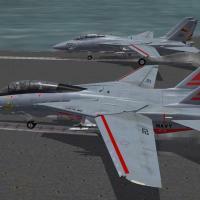 These skins represent the F-14 squadron VF-33 for years 1982, 1983, 1984 and 1992. IT COMPLETELY REPLACE THE V1.0 PACKAGE RELEASED BY ME. 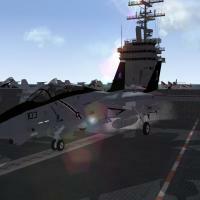 SO IF YOU DOWNLOADED IT, REVOME THE FOLDERS IN THE AIRCRAFT AND DECALS DIRECTORY. + Tweaks in the decals as i made an error in the numbering sequence. 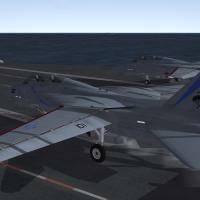 VF-31 Tomcatters Last Tomcat Cruise for the Mirage Factory F-14D_06 and F-14D_96. Please read the readme and enjoy. VF-154 Black Knights in their heavily worn and weathered Tomcats from early 1997 to mid 1999 for the Mirage Factory F-14A_96. VF-211 and VF-24 with CVW-9 for the Mirage Factory F-14A_82, F-14A+_87, F-14B_91, and F-14A_96 covering squadron service from 1984 to 1996. VF-11 and VF-31 with CVW-14 during the early 1990's for the Mirage Factory F-14D_92 and F-14D_96. VF-154 Black Knights circa 2003 for the Mirage Factory F-14A_96. Including full squadron, sea det. amd shore det. skins. The 2 Sukhoi killers are in there too. Templates and base skins by Column5 and EricJ. 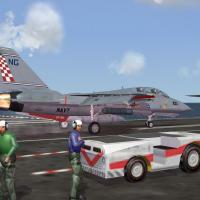 For use with The Mirage Factory F-14A for SF2. Let it overwrite the aircraft and decals folder names. The go fly. TF-30 and Glove vane updates by Caesar. Thank you sir. 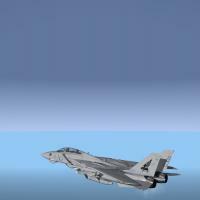 I think someone requested an F-14 aggressor/flanker style skin for the Tomcat, so here is my effort! Keep in mind this is the first time I've attempted to skin a bird so it's a not the best possible version of this yet! P.S Feel free to PM me if you find any flaws which I'm sure there is many! 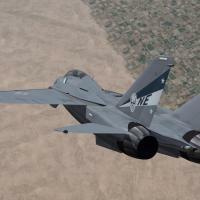 This is a comprehensive skin for VF-32 for the Mirage Factory F-14B. 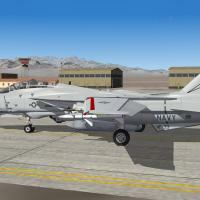 The skin includes comprehensive markings for the CAG, CO, line jets, and the Columbia memorial jet. VF-110, the Firebirds. 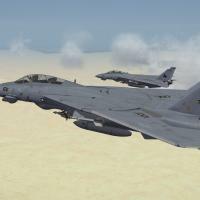 Maverick's fictional squadron from the movie Top Gun for the Mirage Factory F-14A. 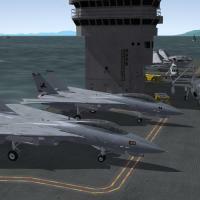 VF-41 and VF-14 with CVW-8 circa 2000-2001 for the Mirage Factory F-14A. VF-2, the Bounty Hunters, circa 2003 for the Mirage Factory F-14D. VF-213 1999-2002 for the Mirage Factory F-14D.